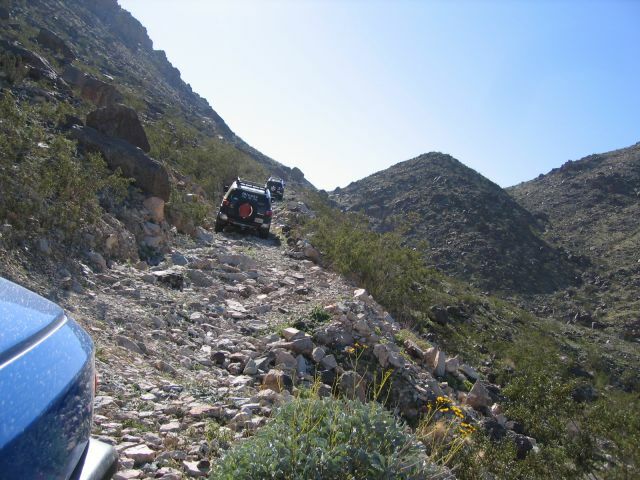 Brooklyn Mine Trail traverses the Pinto mountains along a route that developed as mining took place between the 1800s to the mid 1900s. 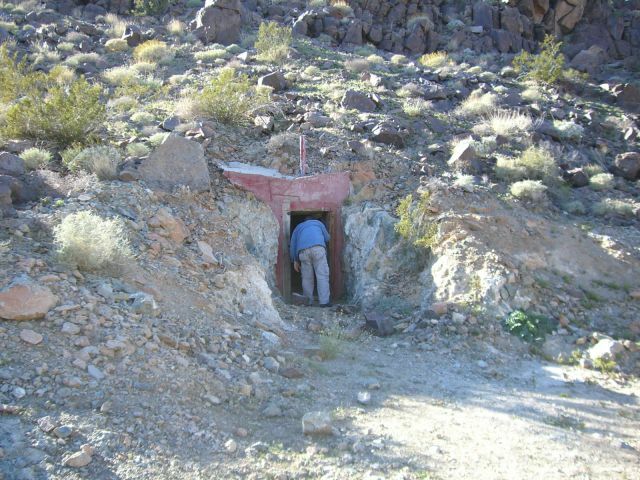 There are many abandoned mines scattered all throughout the area and you will pass several of them on your journey. 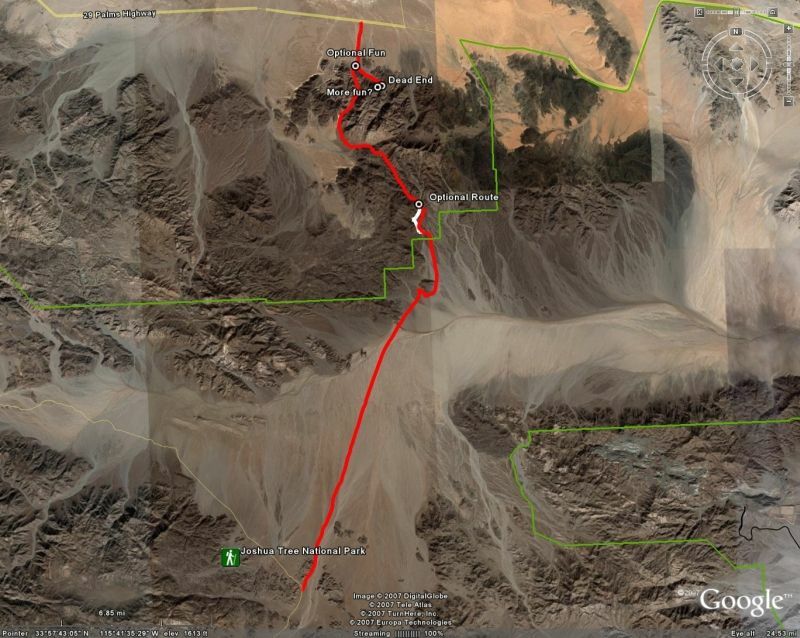 The trail starts off at highway 62 and ends inside of Joshua Tree national Park. The drive is quite scenic and the Backcountry Adventures book gives it a 9 for scenic value. This somewhat less traveled trail is a great treasure and should be treated with respect. Please tread lightly and keep it open and passable for years to come. 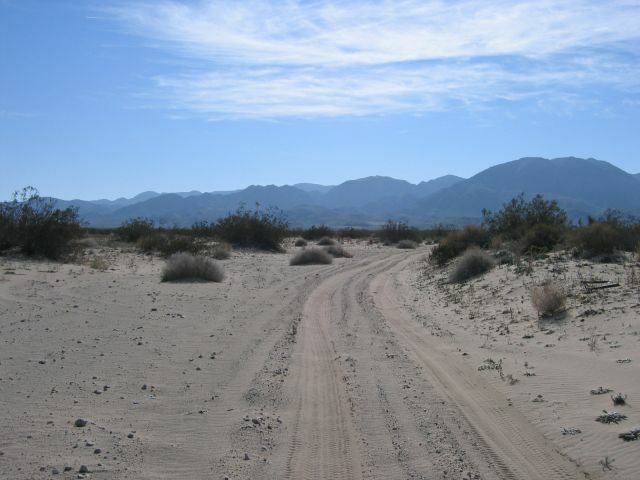 A Joshua Tree national park ticket is necessary for any entrance and exit from the park. Since technically this trail does travel right into the middle of the park you should purchase a park pass. It's only $15 and is well worth the price. With that said you will see very few if any Joshua Trees on this trip. If that is something you're interested in adding, head north on Pinto Basin Road at the end of the track back into the north west portion of the park. This is where most of the forests are. If you're interested in reading about this trail in the Backcountry Adventures Book, you can use google books. There is a great history to the area and some additional GPS coordinates. It starts on page 415. The group size should be around 4-6. There are very few places to turn around safely and getting by traffic coming the opposite direction could be very difficult with larger groups. Bring friends, this is the kind of trail where it's nice to have spotters and recovery nearby if necessary. 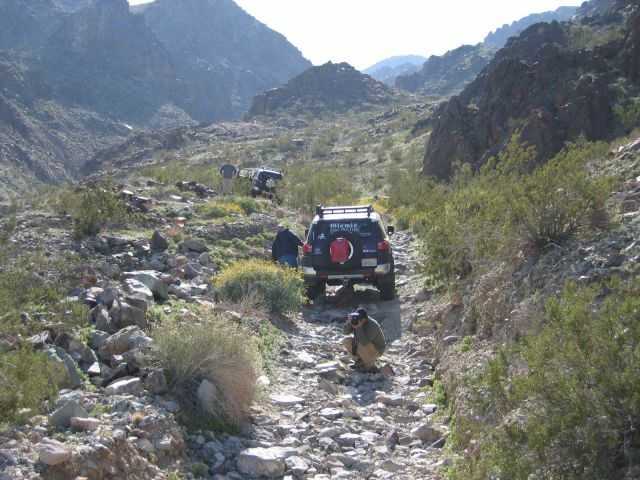 The Backcountry Adventures book for southern California rates this trail as a 6 (out of 10). On the 0-5 scale, it's a 3.5. As always, weather and road deterioration could escalate this rating very quickly. The mountain pass was in a very good state (12/30/07) and looked like it had been recently serviced. However, there are many areas with steep drop offs, tight clearances, and very loose surfaces. 4x4/atrac is a must. There is a good chance you'll get severe pinstripes and your wheels (and rock rails if you have them) will probably touch rocks at least once on this trip. 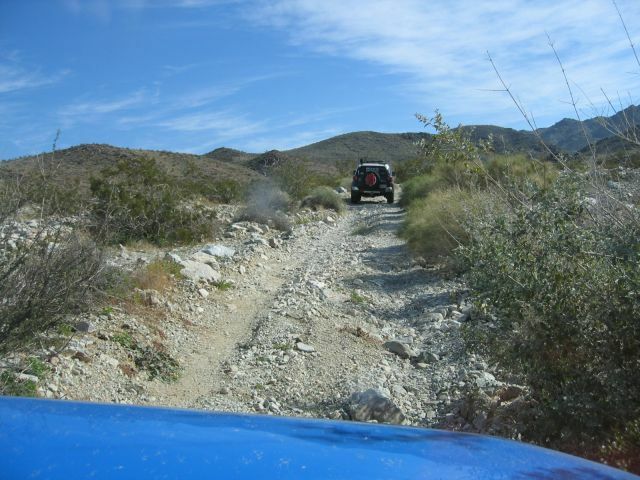 Stock height vehicles and stock tires should be able to complete this trail, but good driving experience is a must. Watch your quarter panels and use spotters when necessary. The track I've included is about 26.9 Miles from pavement to pavement, but the actual trail portion is about 12.3 miles. 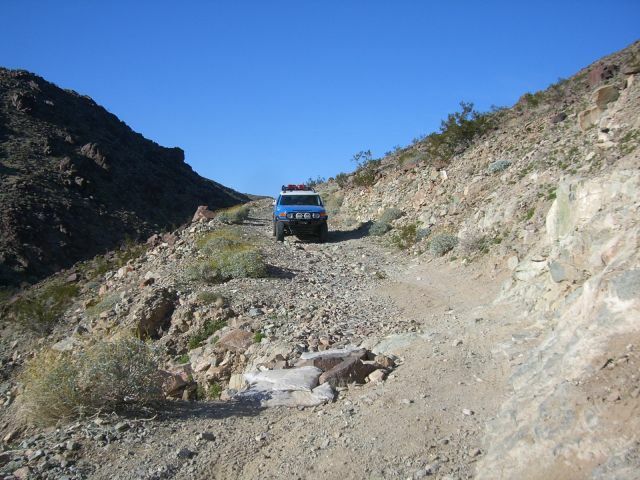 The trail starts at N34 06.82' x W115 42.57' just off highway 62 just north of Joshua Tree national park. It's easy to miss but there should be a pile of rocks marking the road just off the highway. 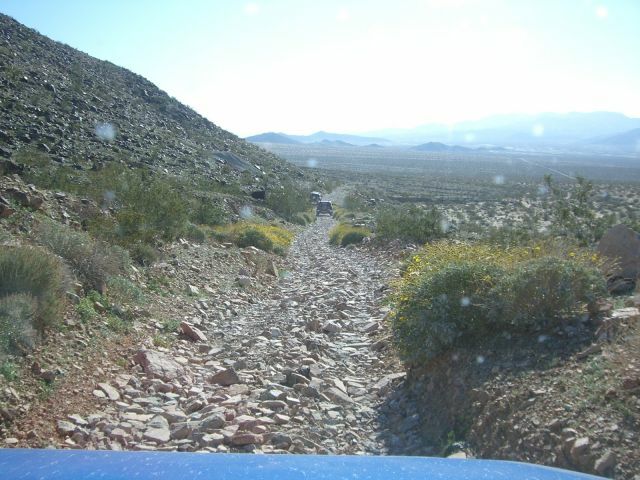 A lot of the trail looks like this, just a bunch of loose rocks. Not technically difficult, but care should be taken not to puncture tires. Start of the mountain pass. At this point, you may question going further. If the road is still in good repair, it's very doable and not nearly as difficult as it looks from the bottom. It's a road I sware. This picture looks worse than it really is, but care should be taken. The road is narrow, and there's nothing but a drop off right next to you. 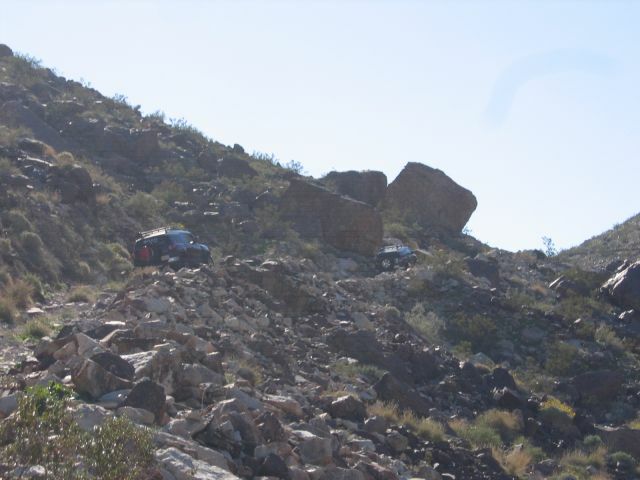 An example of the tight clearance, with lots of rocks asking to punish you. Use a spotter and you'll have no problems though. The FJ fit through all of these very nicely. On our way down we found some scarier areas that had obviously been repaired. These are the kind of areas that could easily change with weather and use. 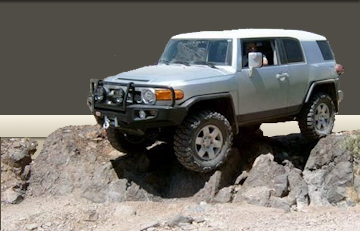 With spotting we had no problem, but you can see how a little off camber, tight clearance, and less than ideal traction could end you up at the bottom of a cliff. We saw this at the end of the trip, NOW they tell us..
GPS tracks are included below. I was not happy with how google was importing the waypoints in the GPX file, so I also included a KML file you so you can read my comments on the trail. Our original path took us through a wash I think could be easily avoided for more scenic roads. The only road damage we suffered the entire trip was in this wash. 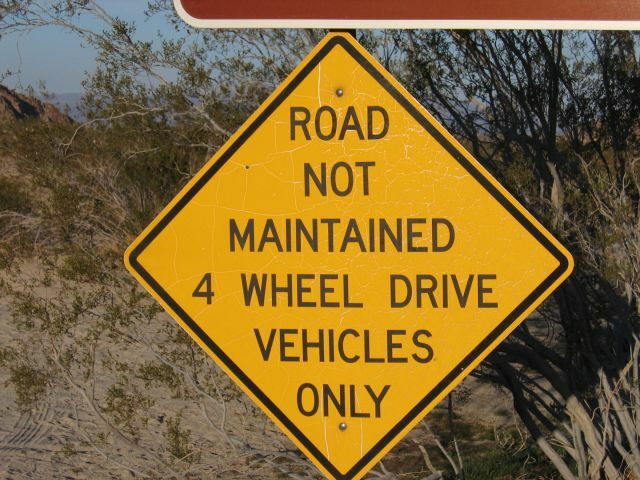 I'm not sure it was ever a road . The optional route staying on the road instead of the wash and additional suggestions are marked in the files as waypoints. Special thanks to the Socal FJers for bringing us along on the trail! Dave did an awesome Job leading us, thanks again guys! 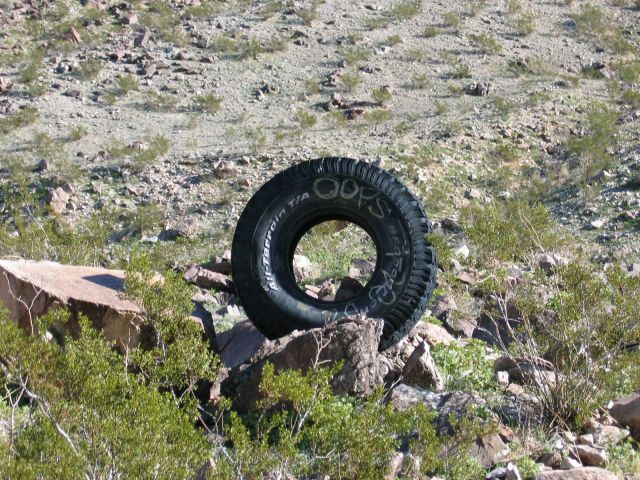 Posted: Tue Jan 01, 2008 11:18 am Post subject: Re: Brooklyn Mine Trail (Joshua Tree National Park, CA) - 3. Looks like great fun! Good write-up. FYI - American Racing makes a touch-up pen for their Teflon wheels. I only know this because I scarred a wheel at BullDog on Sunday. Check their website. No way! Thanks for the heads up, we'll pick one of those up asap. 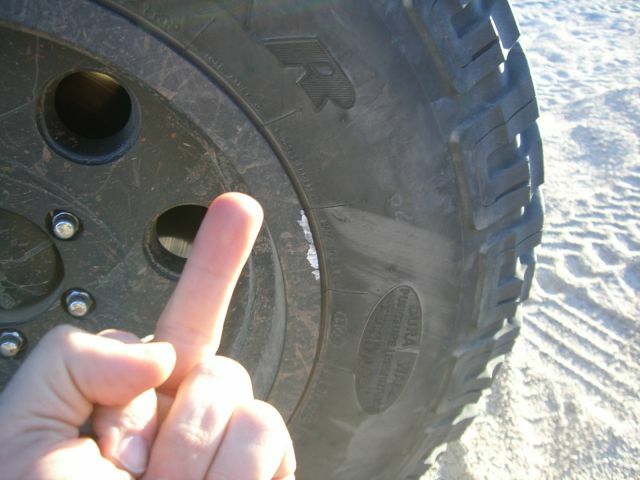 Posted: Tue Jan 01, 2008 1:49 pm Post subject: Re: Brooklyn Mine Trail (Joshua Tree National Park, CA) - 3. ...can anyone else say camping trip?!?! 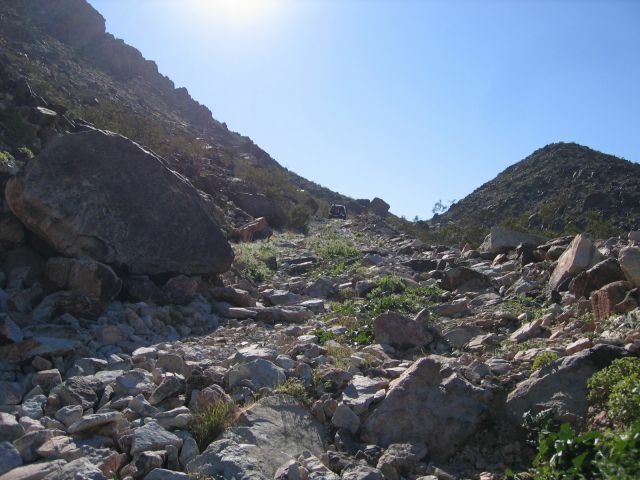 Posted: Tue Jan 01, 2008 1:59 pm Post subject: Re: Brooklyn Mine Trail (Joshua Tree National Park, CA) - 3. Yes sir, we should hit it up in spring. The desert is a beautiful place if timed right. 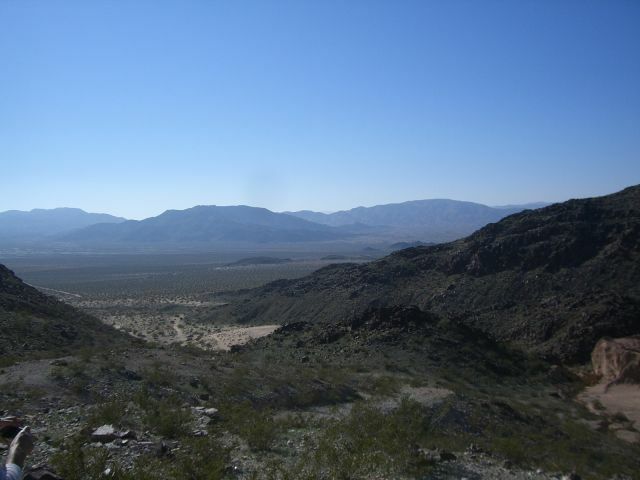 Posted: Tue Jan 01, 2008 3:59 pm Post subject: Re: Brooklyn Mine Trail (Joshua Tree National Park, CA) - 3. I'd love to get up there since you've run it and I haven't and you put it at 3.5 difficulty.... just to see if I'm completely off the wall on the things I've thrown up! Yeah trail ratings are tough for sure. The ratings may change as we rate other trails too. That's ok =) If you want to take a weekend to go do it, let me know I'd love to go run it again. 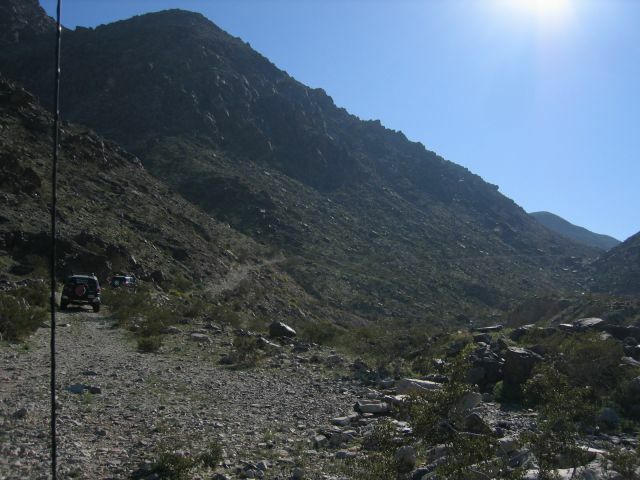 Posted: Tue Jan 01, 2008 4:13 pm Post subject: Re: Brooklyn Mine Trail (Joshua Tree National Park, CA) - 3. Ya let's pick a weekend for a camping trip! I'm trying to get all the dates organized right now for all the events we know that are coming up! **edit** March is looking good...no events on the weekends yet except for Easter. Jus ran this trail today 07-21-2013 and this trail is a 2 outa 5. i ran it backwards form the OP (inside the park to out) and i was one of 3 vics and we had including a bone stock Jeep Liberty, and he made it no problem. Maybe three times needing a ground guide and one of which on a side track. I'm long travel on 33's and i cruised the whole way, including a 70 mph run down Old Dale, fn sweet! 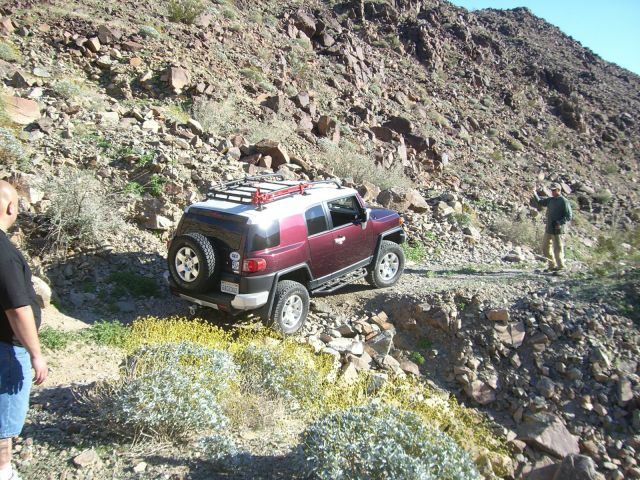 The one pucker moment on the trail was one of the pictured was out, thats when that 7 inch wider wheel base had me worried lol. if i could upload my pix i would love to add em, but all my pix are to large(lame). one of the trucks, a 84 pickup on 35's did snap a pitment arm and is dead on the trail, but its a work in progress not trail related. 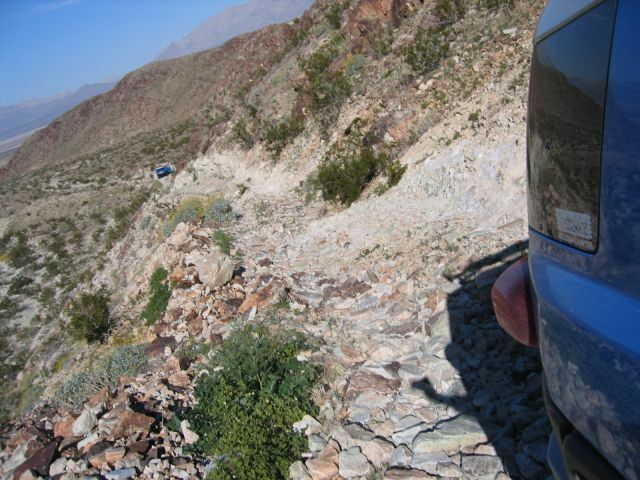 all in all, a fun ride with some epic baja runs on the way in and out either way and some sick views and opportunity for alota exploring and looking through old mining junk. if in the area i recommend it.